After a hard night with his sometime lover Louisa Bonaventure—“the Vengeance Queen”—Lou Prophet decides to cool his heels at a local honky tonk. 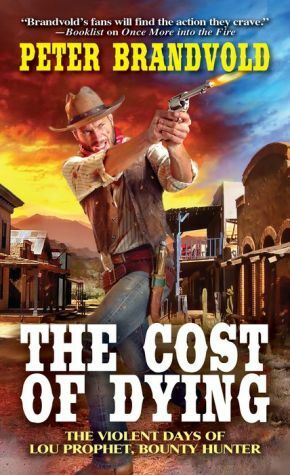 Things heat up fast when he defends one of the girls from a sadistic brute who also happens to be the deputy sheriff. And now Prophet is running for his life . . . Heading south of the border to Mexico, Prophet isn’t the only man marked for death. The young red-headed pistolero Colter Farrow has made an awful lot of enemies, too—and now practically every bounter hunter south of the Rio Grande is gunning for blood. For money. For fun. And, now, for Lou Prophet . . .